Ret-Talus surveyed the ash-coated battlefield. Plumes of acrid smoke spiraled upward, vaporous fingers constricting the sunlight. 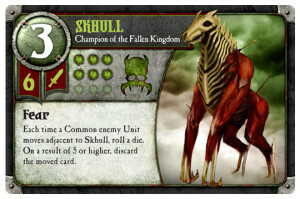 Skhull still prowled, it’s skeletal nose sniffing the air, desperate to find any trace of blood. He had been hopeful, those many moons ago, that his incantation would knit flesh and sinew from ghastly design, but this terror, this corporeity whose anguished wails accompanied its every step – this wretched hound had littered the ground with blood soaked so deep, nothing would grow here again. The Bender forces had been slaughtered, the corpses of Deceivers and Controllers cut down like a newly-scythed wheatfield. 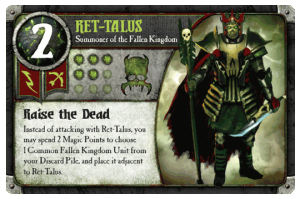 Yet Ret-Talus did not stand upon the cusp of victory unscathed – every dip into the well of his infernal magic sapped his already decaying visage. He cast his attention upon an ominous figure that had until now been patiently awaiting orders. Its face hidden within the inky depths of a cowl, his malvolent Reaper minion keened in a soft sibilation, the sound of a hunger centuries insatiated. Ret-Talus raised an atrophied arm, a bony finger extending toward a neighboring ruin. His wordless order understood, the Reaper nodded imperceptibly and headed in the indicated direction. In an alcove of the ruin, likely a former temple, a figure crouched. An otherworldly aura of quiet surrounded it, and though it was isolated and alone, its demeanor was devoid of fear. Tacullu, Bender psychomancer and Summoner of immense power, chided himself. How had events spiraled so quickly out of control? His coven of Mind Witches had been dispatched with alarming swiftness, their bodies malformed clutters of Skeletal Archer arrows. Gulldune, his mighty Bender Champion – a man both cruel and unflinching – his garbled death-cries the very essence of terror. Tacullu was certain that accursed lord of the Fallen Kingdom would be assuring himself of victory about now. He felt reserves of magic crackle beneath his skin, unbridled power begging for release. As ever, you are too greedy Ret-Talus. The words of an invocation played across his lips, along with a cruel smile. In the distance, Skhull’s howling was silenced, and Ret-Talus felt a severing of their telepathic connection. 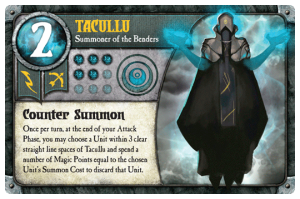 Before he could bedamn Tacullu’s use of an unsummoning spell, his body convulsed as the remaining vestiges of magic were drained from his body. As he dropped to a knee, a shadow fell over him – he could smell the stench of Bender magic emanating from the Reaper in waves, undead eyes now a portal for another’s. A blade raised. But how? A blade fell. 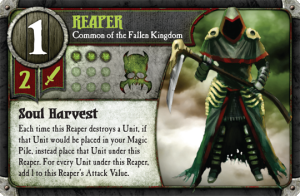 In a recent game of Summoner Wars (Stuart’s review here), my Fallen Kingdom faction had my opponent on the backfoot. I had two Skeletal Archers, a Zombie Warrior, a Reaper and my devastating champion Skhull on the board, with another champion Elut-Bal ready to drop next turn. My opponent on the other hand had witnessed his forces purged from existence, with only his Summoner intact. You’d think I would know better, you’d think the game’s exquisite sense of balance would be branded onto my mind by now, but is it not true that the smell of imminent victory is always potent enough to deceive? I could see my opponent had a fair bit of Magic in his pool, but with more units than him, I couldn’t use either of the two Magic Drain event cards in my hand. No matter, how could I possibly lose from this position? Three turns later, Ret-Talus was cornered and the writing was on the wall. In bold, bloody letters. As long as a Summoner has magic to draw on and cards in hand, you can never assume victory is within reach. 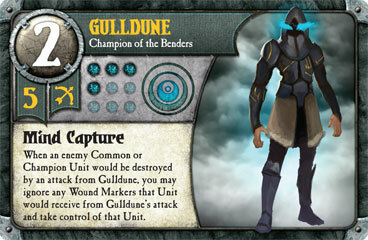 Know the deck your opponent is playing, understand their Summoner’s ability, understand their event cards. And whilst it’s true that certain factions are designed to be played aggressively, these same factions usually have a Summoner with a low maximum health. No matter how many units you may have on the board, if your Summoner is dead the game is over.